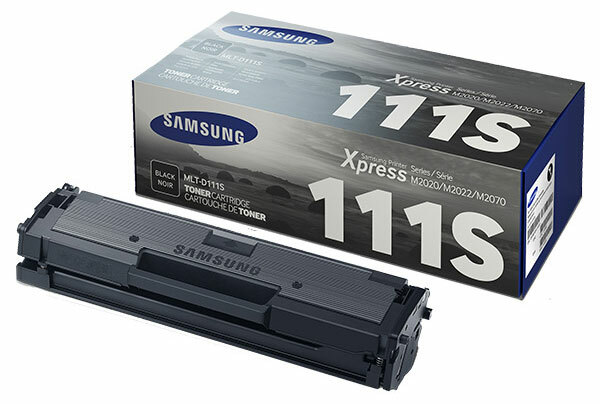 Premium Quality MLT-D111S Black Toner Cartridge compatible with the Samsung Xpress M2070FW, M2020W. The use of compatible supplies does not void your printer warranty. Genuine OEM SAM MLTD111S Black Toner Cartridge. They are designed to work in the Samsung Xpress M2070FW, M2020W printer/copier(s).